Ever wondered where your Mac or iPhone was manufactured? coconutID can give you this information. 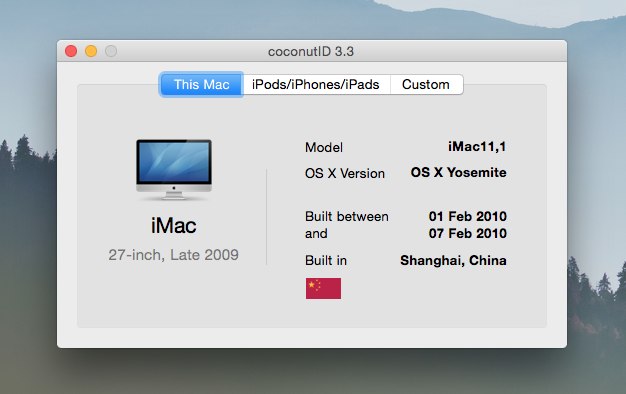 coconutID can also calculate when your Mac or iPhone was manufactured. You can get all these information from any Apple produced piece of hardware using its serial number.